Early last month, we passed along to you a report that said Apple would include its new streaming music service with iOS 8.4. Later last month Apple announced that it would be holding an event on March 9th in San Francisco, presumably to unveil more information about the Apple Watch. At the time, there was talk that the music streaming site would some how be part of the festivities. But that rumor has been shot down. 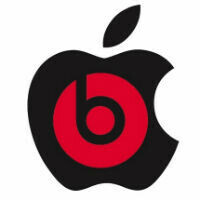 The latest speculation has Apple introducing the music streaming site at its WWDC Developers Conference in June. The keynote is penciled in for June 8th, which could be when the service is revealed. As far back as last October, there was talk that Apple's new service would aim to undercut industry leader Spotify. In fact, there was talk that Apple was renegotiating with record labels and artists in order to offer service no higher than $7.99 a month. Spotify charges $9.99 a month for its service. Apple's new iTunes music streaming service will employ features that Apple picked up from its $3 billion acquisition of Beats. The service also will be offered to Android users via an app developed by Apple. The company recently posted job listings for Android developers to replace some who have left the company. While it still is possible that the new streaming music service will be ready for iOS 8.4, it is probably more likely to be stuffed into iOS 9. The service will be found in the iOS Music app and is said to function similarly to Beats Music for iPhone. and you can use Itunes radio for free with ads as well, your point? Spotify has more than just radio, you can also search and listen to songs on demand. ITunes has become less appealing since you can't migrate your music using different devices. Unlike Spotify it's more diversify. I wouldn't want a company like Apple dominating the music streaming market, especially not under the name of that god awful, good for nothing brand. Does the name iTunes sound familiar to you? They were the popular internet radio players back then so we can say they've been streaming since the 2000's.